A video that appears to show a mother orca too depressed to nurse her baby at SeaWorld San Diego made the rounds this week - and it's sending SeaWorld into a defensive spiral. In the footage - released by the upcoming documentary project Superpod - Ingrid Visser, Ph.D., a noted orca biologist, and John Hargrove, a former SeaWorld trainer, express concern over the abnormal behavior of the mother calf. 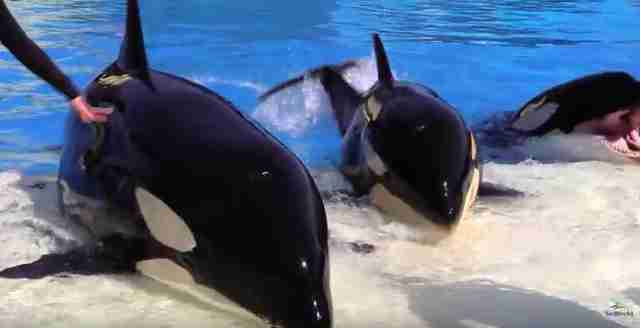 The clip has since been picked up internationally and SeaWorld released a video rebuttal on Thursday. The response was particularly defensive - even for SeaWorld - and as usual the company is not quite telling the truth. Here's a line-by-line breakdown of SeaWorld's latest video - and where it went wrong. "These two so-called killer whale experts confuse a 10-month-old calf with a nearly 3-year-old whale." SeaWorld accuses Visser and Hargrove of mistaking Makani, who's almost 3, for Amaya, who's around 10 months old, in an effort to discredit them and distract from their claims. But as usual, SeaWorld's lying. When the Superpod team released the original footage, they publicly announced that it featured 2-year-old Makani. Naomi Rose, Ph.D., a marine biologist with the Animal Welfare Institute and orca expert who weighed in on the video, also spoke specifically about Makani in The Dodo's original coverage. "He hasn't been observed to be nursing in several months." 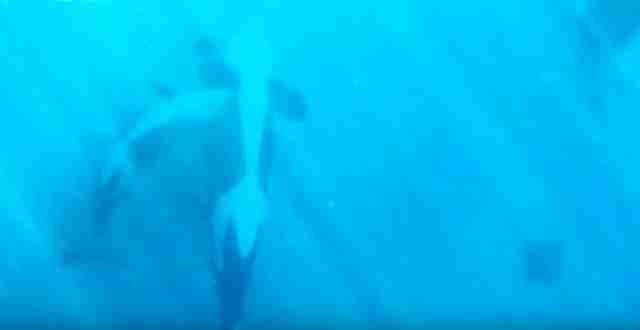 In the video, Makani is persistently begging for milk - which is not normal behavior in an orca who's been weaned for months. In response his mother, Kasatka, ignores him, listlessly floating by and eventually settling in the far corner of the tank. As the team watches, she turns toward the surface and begins to float, vertically suspended and motionless. Makani begins to circle her, somewhat frantically. On SeaWorld's website, the park claims whale calves stop nursing by age 1, and only sometimes continue until they are 2 years old - a claim SeaWorld uses to justify removing calves from their mothers well before they should. If Makani, who is nearly 3, was nursing just a few months ago, that disproves SeaWorld's own claim about orca behavior. Naomi Rose has also confirmed that weaning in the wild is highly variable, but that wild orcas can nurse for as long as five years. But of course, the issue here isn't whether or not Makani is nursing - it's the pair's unnatural behavior. Makani is asking for milk - and his mother is ignoring him. "He does still do the bumping ... and many other behaviors that we consider to be a normal part of developing and maintaining his mom-calf bond." When animals are stressed and bored by captivity, they often develop something called stereotypic behavior, a compulsive, repetitive pattern of action that has no apparent purpose. SeaWorld's animals have been seen performing stereotypic behaviors on many occasions. At just 2 years old, Makani already has a history of such displays - he was seen repeatedly beaching himself late last year. 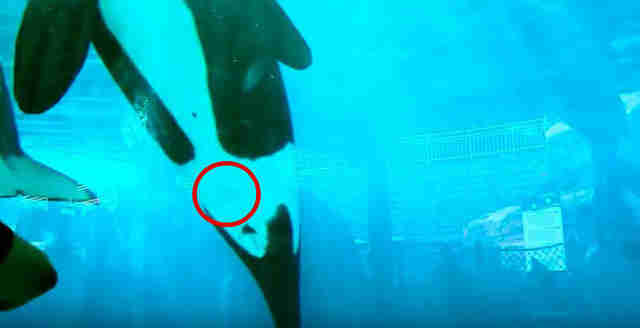 And this recent clip shows Kasatka with a large bruise on her belly from Makani's compulsive bumping. So despite SeaWorld's favorite excuse - that the strange behaviors of its whales are "normal" - this repetitive head-bumping clearly isn't. Instead, as Visser explains in the original video, it's a sign that Makani is exhibiting stereotypic behavior. "This error that you saw in this video actually highlights the opportunities that killer whale biologists have to learn and study from the whales here at SeaWorld." Of course there was no error, but the video goes on to say that marine biologists are incapable of studying orcas in their natural environment because the whales live in the wild. SeaWorld claims its parks offer a unique ability to observe the mother-calf bond. But the mother whales at SeaWorld are anything but natural. Mother orcas do not have the choice to select a mate, an important privilege in the wild, and are often artificially inseminated. They are bred far too young and too frequently. And when their calves are still dependent on them, SeaWorld often snatches the babies away to ship them to other parks - breaking the very bond that the company pretends to research. Meanwhile, the biologists who study wild orcas - whom SeaWorld dismisses as frauds - have made incredible discoveries about the complex social structures that form between these highly intelligent animals in the wild and are able to follow orca families for decades. They can't conduct that sort of research at SeaWorld because SeaWorld's orcas are so unnatural. And SeaWorld has contributed very little research to the scientific community. In fact, a highly publicized paper that SeaWorld published this summer contained a concerning mix of misinformation and flawed math. 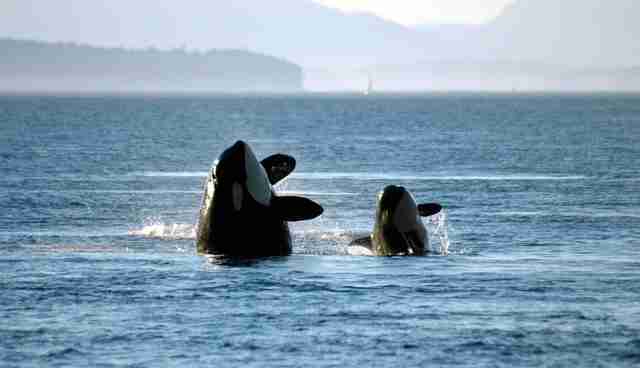 "Resting is a common natural behavior for killer whales." Yes, wild orcas rest. But what SeaWorld tries to pass off as "resting" is something completely different. Orcas practice something called unihemispheric sleep, which means they turn off half of their brain at a time to rest, while the other half stays awake. This means that even when a group of orcas is sleeping, they will continue to slowly swim. Wild orcas simply don't stop moving. Yet at SeaWorld, orcas will spend minutes - and sometimes even hours - floating motionlessly in their pools. Wild orcas never do this and it is believed that captive orcas float as a result of depression or simply the stress and boredom of captivity. 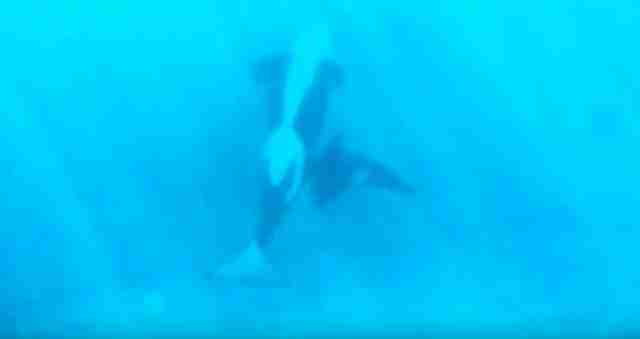 In the clip filmed by Superpod, Kasatka is hanging upright and motionless in the water, a behavior that both of the marine biologists who saw it described as abnormal. So once again, SeaWorld's up to its old tricks - lying to its customers and the public about the truth behind its orca exhibits. If only they'd spend less time on PR - and more time taking care of their animals. You can watch SeaWorld's response video below. And here's Superpod's original footage.